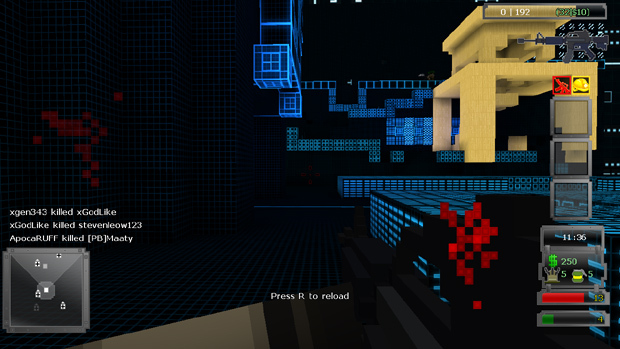 GunCraft is a new addition to the emerging genre of Minecraft-like shooters that started with Brick-Force and Ace of Spades. It gives you the fast-paced action you’ve come to love from an FPS, and combines it with the creativity involved with playing Minecraft. This creates an interesting gameplay experience where the map can always be different and changed. Don’t like that wall? Destroy it. This new layer of strategy should make for a very exciting game. 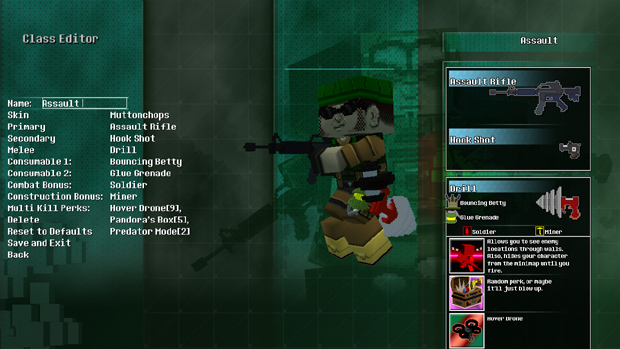 Customization is pretty nice in GunCraft. There’s a pretty extensive class editor where you can come up with your own classes to play in the game, or just modify existing ones. You are given the ability to choose your skin, your weapons, your special abilities and other useful things that you’ll need to go on a killing rampage. 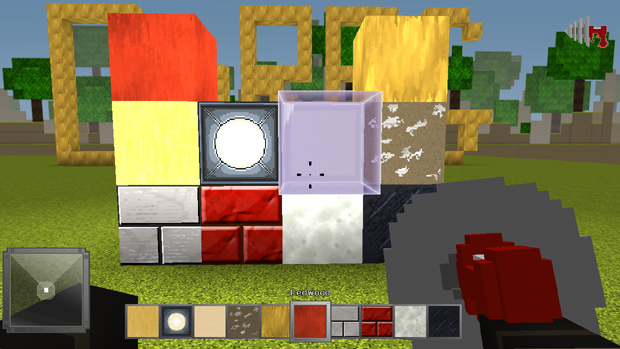 There is also the scene editor where you can create maps by stacking blocks, just like Minecraft. 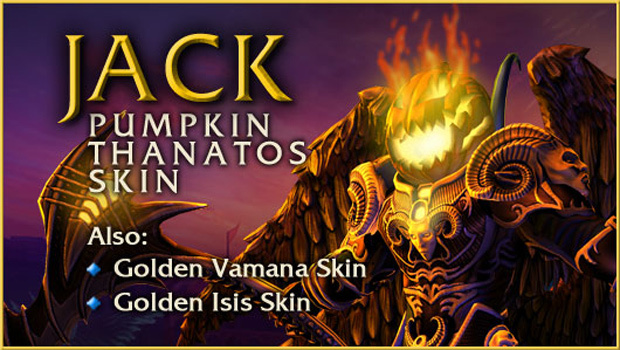 The one thing I didn’t find, which I would have liked, was an in-game skin creator, but it’s not too much of an issue as you’re given a wide variety of pre-sets to work with. Think of Minecraft. Well GunCraft’s graphics are a tad bit worse, in my opinion. But they’re still in the same style. Its downfall is the textures, which are very bland, even compared to other block-based games. For all that it accomplishes, however, I don’t find the lack of texture quality a negative. Overall, I am happy with the graphics in GunCraft. 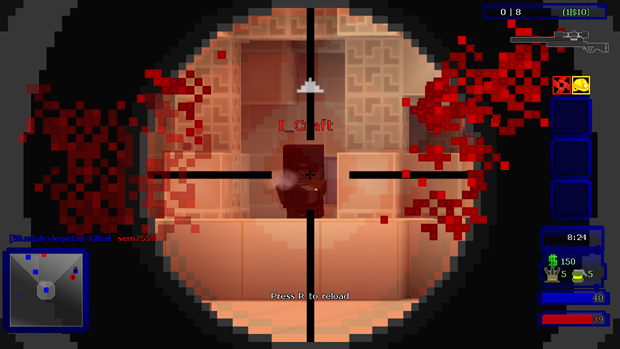 GunCraft uses the controls that you would expect from a shooter. WASD movement with left click to shoot, right click to zoom. The one thing that threw me off was that, at least not by default, you cannot use the 1-9 keys or the mouse wheel to change weapon. Other than that, it was quite easy to pick-up. 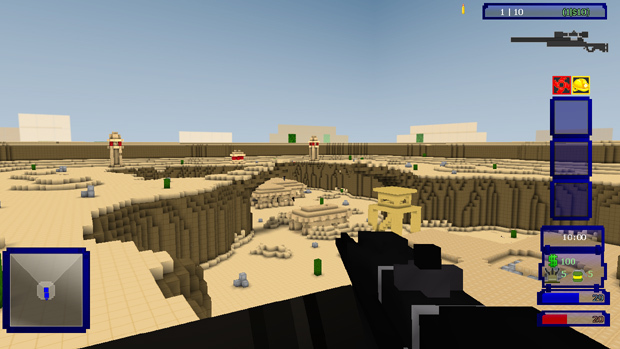 If you’ve played a shooter in the past, you will feel right at home playing GunCraft. It’s a shooter community, so there is a bit of rough language. For the most part, however, the players are helpful and nice. I’ve had no issue finding active games, even at 3:00AM in the morning. However, I’ve got to say that the community is not very large. Definitely not as large as similar games, such as Ace of Spades. But, as I didn’t have an issue finding a game, I won’t give the community aspect of the game a bad score. 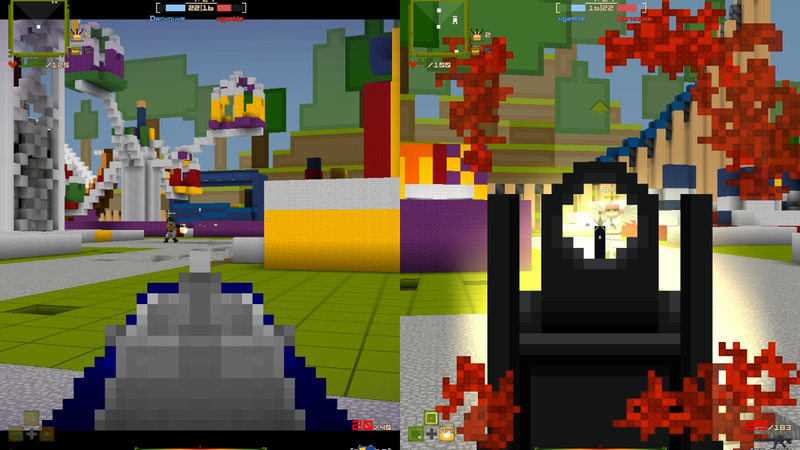 GunCraft plays a lot like your average FPS. You spawn, you kill, you die, you spawn, you kill, rinse and repeat. There is just about every kind of weapon you could want. There are special abilities you can activate to give you a slight advantage, too. On top of that, there are the creative aspects where you can build or destroy the map as you please. Basically, it’s Black Ops meets Minecraft. The FPS aspect is, as I said, very similar to other FPS games. I get the feeling they were trying to emulate the Call of Duty: Black Ops style, though. This means it’s very fast paced and filled with interesting things, such as drones, kill streaks, and no scopes. It’s not a very tactical game, but there is some room for it. You will be rewarded for taking your time and letting people come to you, rather than running around like you have no idea what you’re doing. I really didn’t see much of the in-game block-placement while I played. It just didn’t seem like a major part of the gameplay. It seemed that everyone either did not know how to make use of it, or just chose not to. Perhaps in some game modes or maps it will play a larger part. But other than that, it worked pretty well when it was used. The map creator is nice. I really enjoyed spending time creating the maps (despite knowing that no one would ever use my creations). It was almost like creative mode in Minecraft, but the selection of blocks wasn’t as diverse. It would be great if they could one day allow for some of the great stuff you can do in Minecraft with redstone and such. But, there are some neat traps and such you can put in your map, such as gravity lifts. GunCraft is on the fast track to being a great game. The thing I love about modern game development is that even after the game is released, more features and content can be added in. I love this new melding of genres that are happening now, and this is a great example of what can be accomplished with a bit of innovation. I’ve got a few things I would like to see added to the game, but I have no real issues with what is already available. If you like shooters and Minecraft, I suggest you give this game a go and support their Steam Greenlight page as well. Wher do you download it?